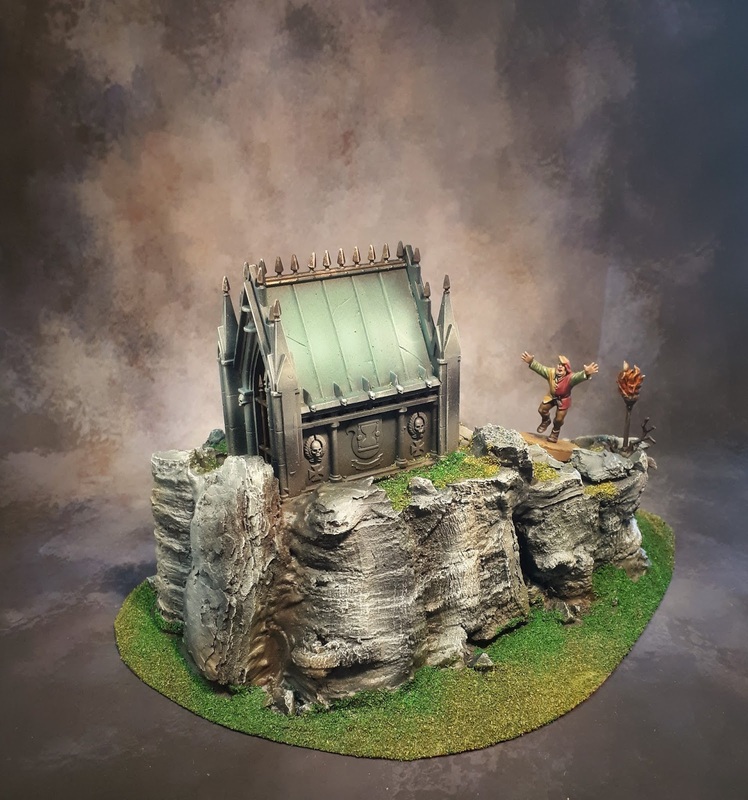 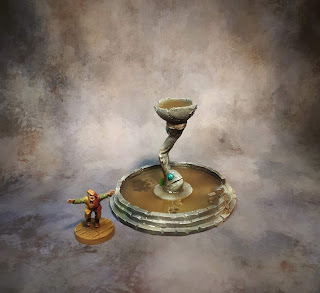 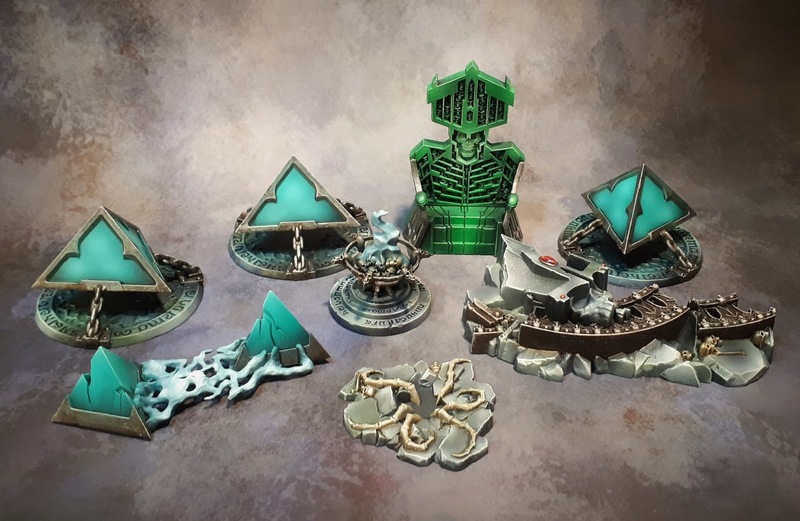 Warhammer Underworlds: Nightvault Arcane Hazards Painted is back in stock in the shop. 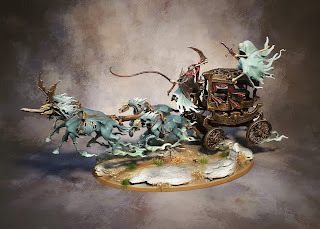 Nighthaunt Black Coach from GW...Probably the best kit I've painted this year (non scenery one that is). It's a nice addition to the army, really need ot do a group shot at some point. 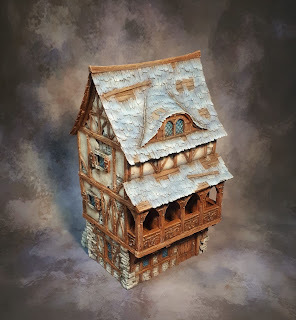 Available in the shop. 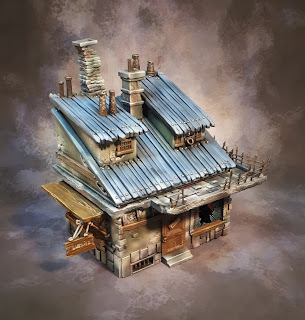 Townhouse 2 and Townhouse 3 from Tabletop World, beautiful models, I particularly like the tall chimney one. 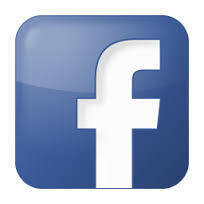 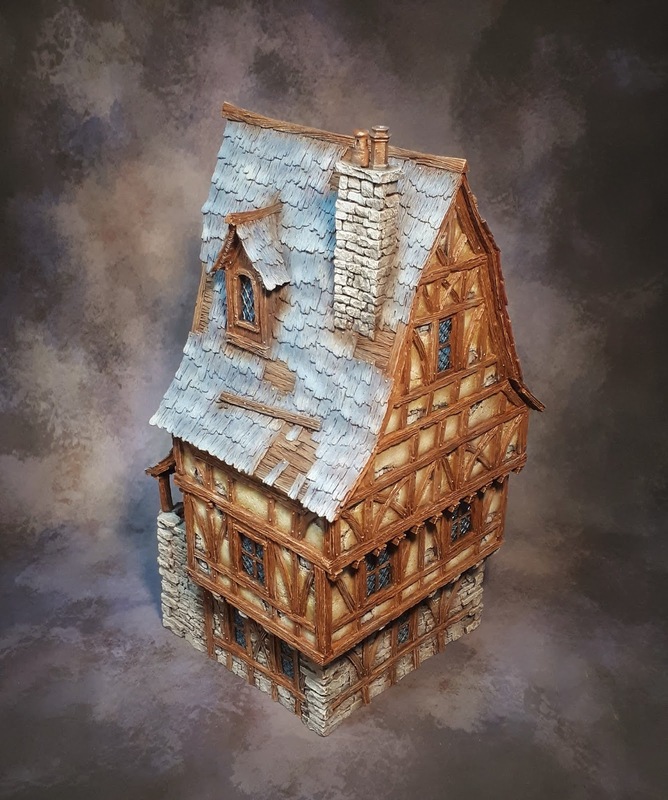 Available from the shop. 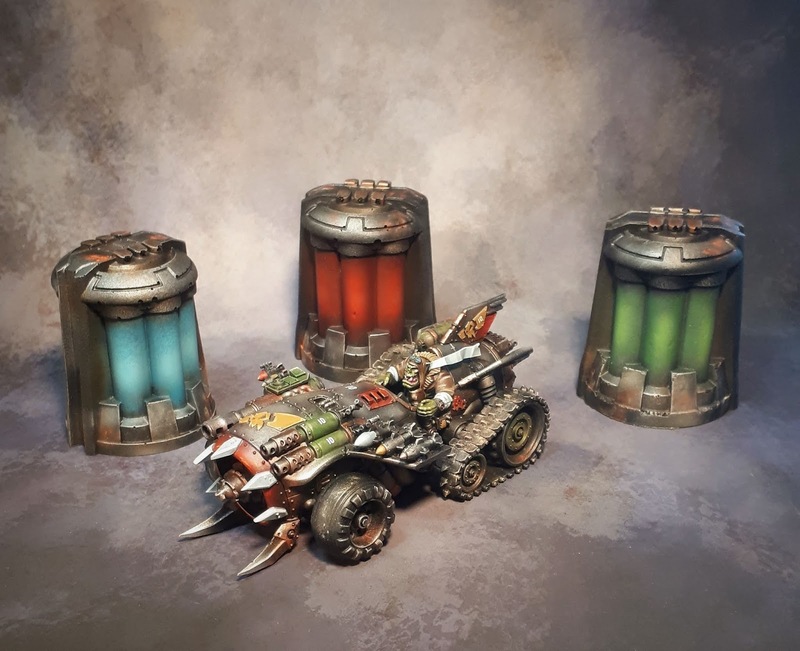 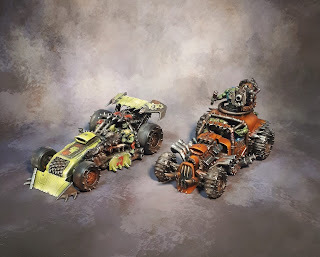 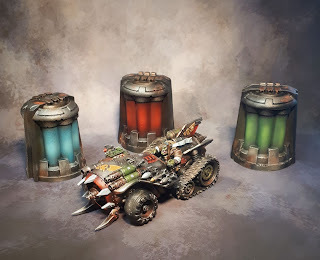 The Megatrakk Scrapjet, one of the latest Ork release. 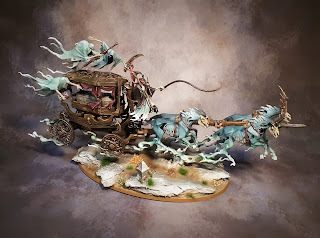 It'll work brilliantly for any car game, easily my favourite of the lot, I find the vehicle really cool. 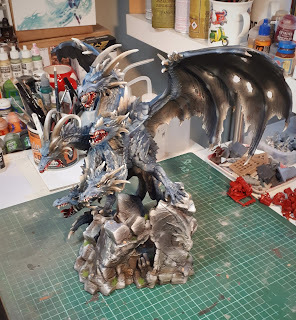 Again, it took so long to put together and super fats to paint. 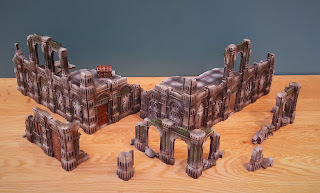 A few scenery debris, can't remember where they're from and it doesn't matter as they are the worst pieces I've ever seen. Cast in foam, absolute crap, got them at salute last year for very cheap. Trying to be as fast as possible doing these, I managed to finish the Kustom Boosta-Blasta and the Shokkjump Dragsta from the core box of Speed Freeks. It's really taking ages to put them together, actually twice the time it took me to paint them...I'm not fitting them on bases as I really don't like the look with it and I'm hoping to play other games involving cars with them (Gaslands I'm looking at you :) ). 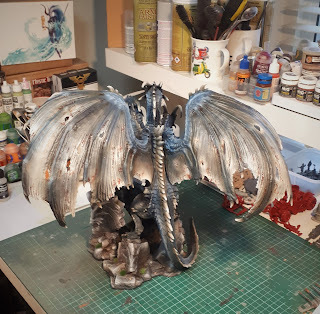 I've got another one on the go, will probably do the series as I really love these models. 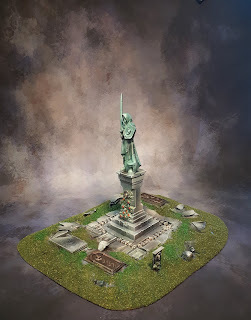 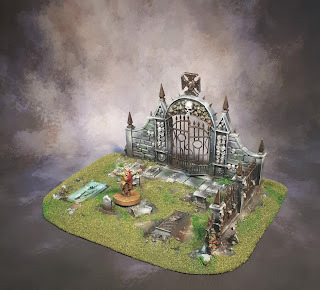 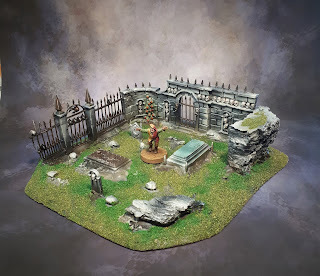 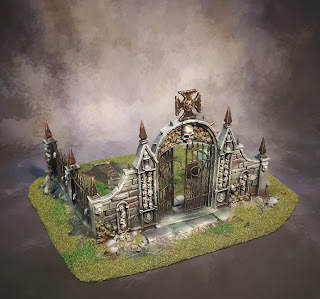 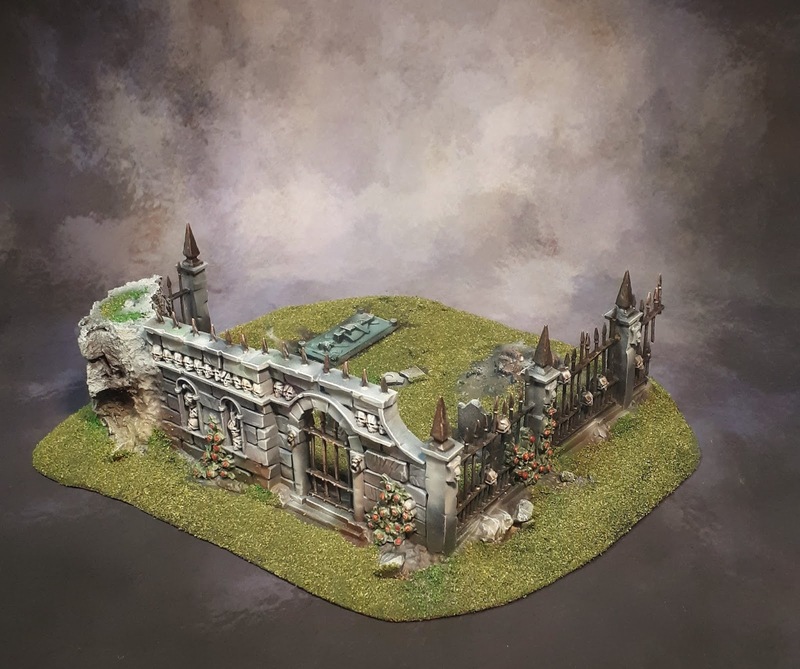 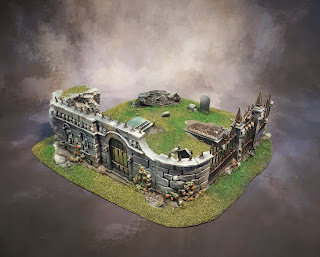 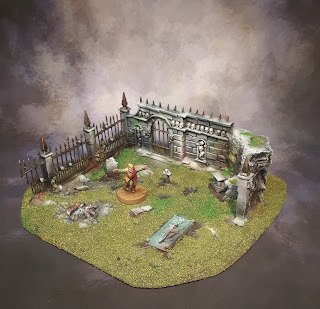 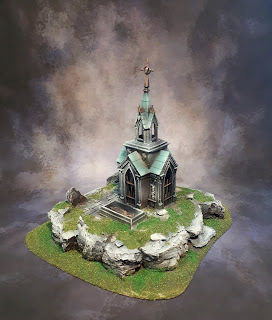 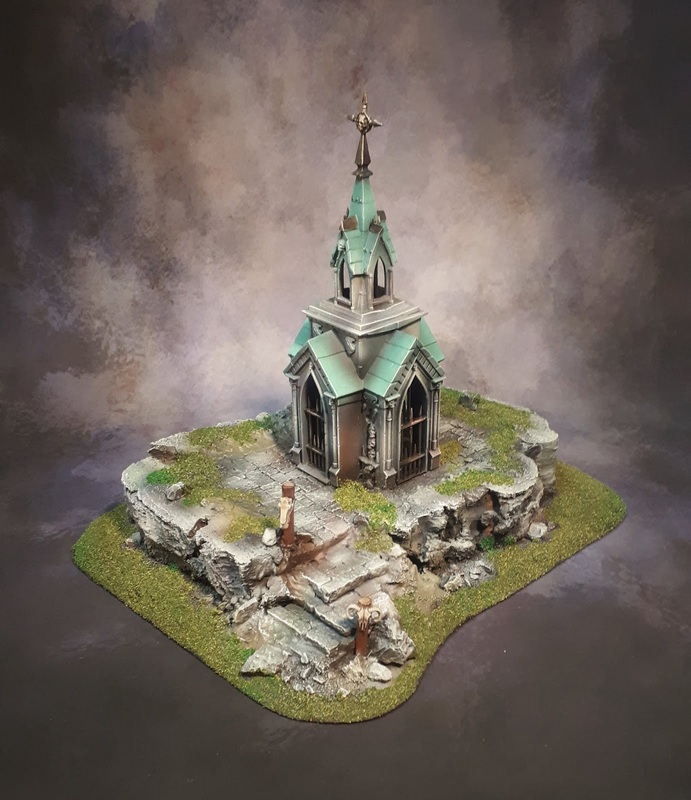 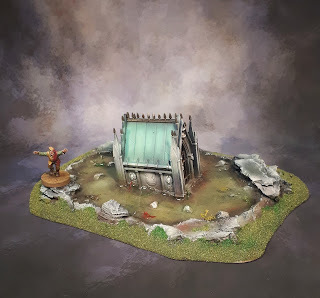 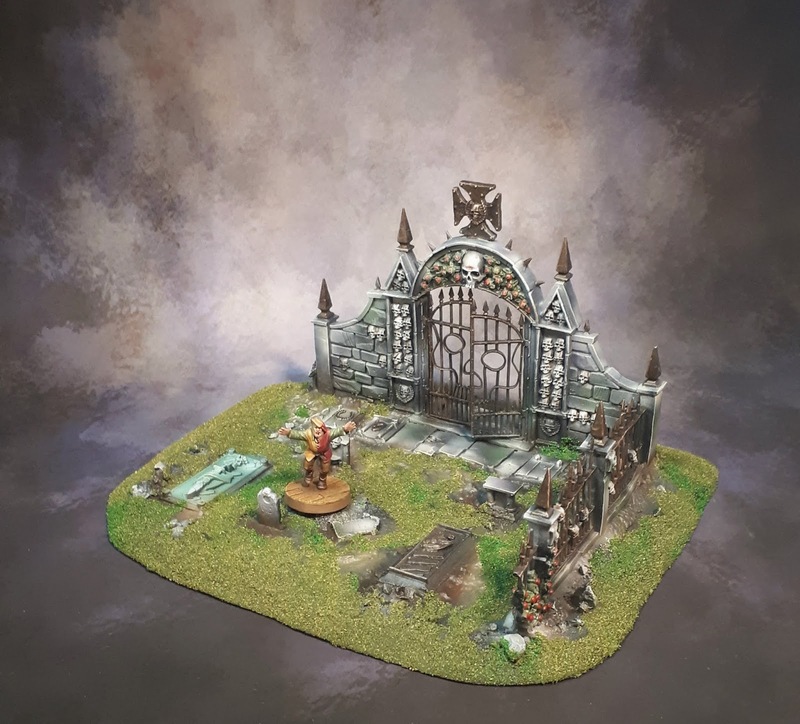 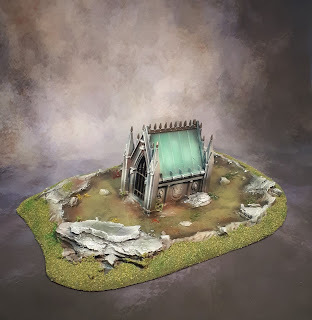 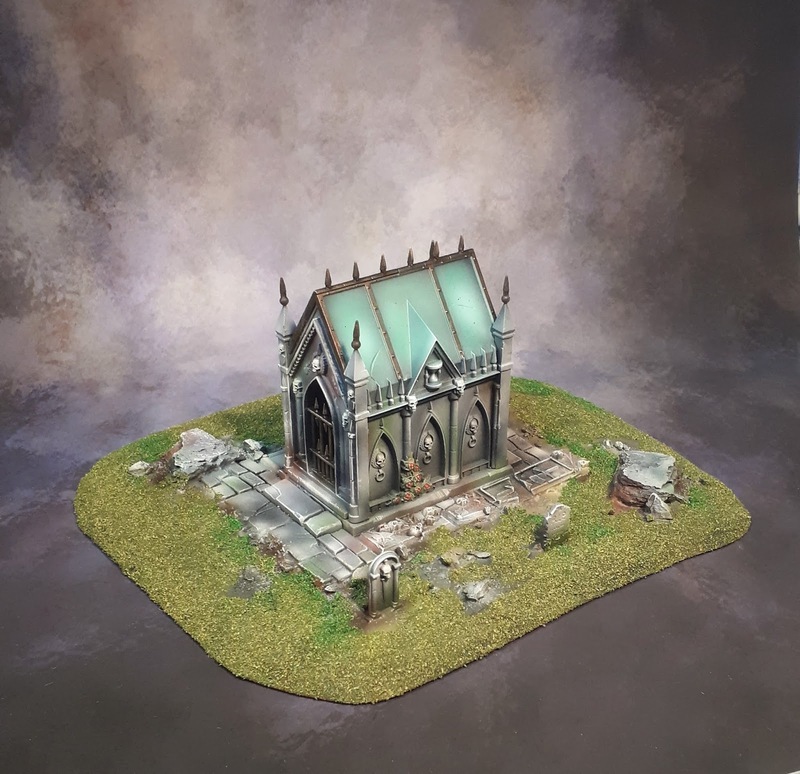 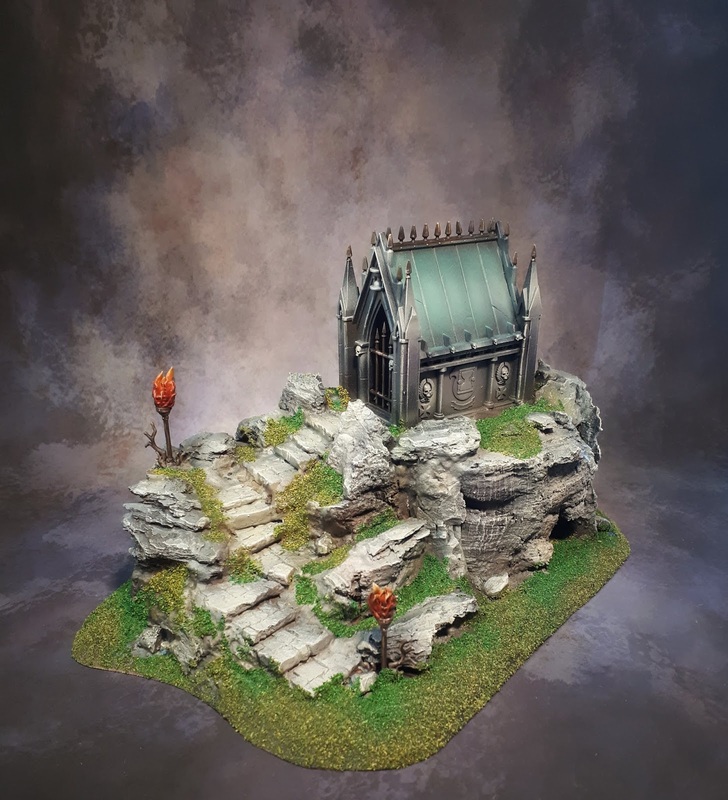 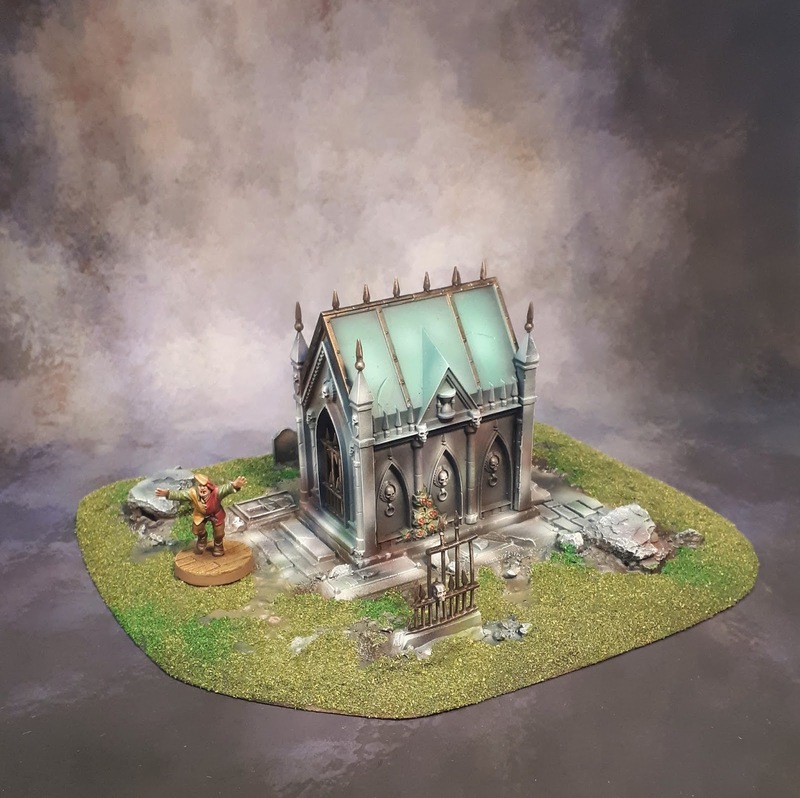 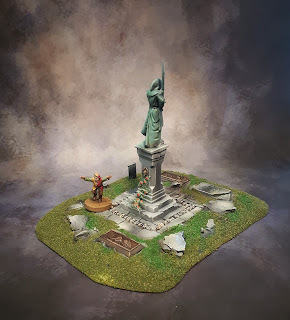 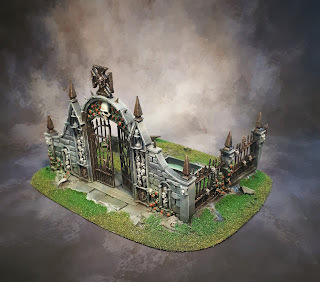 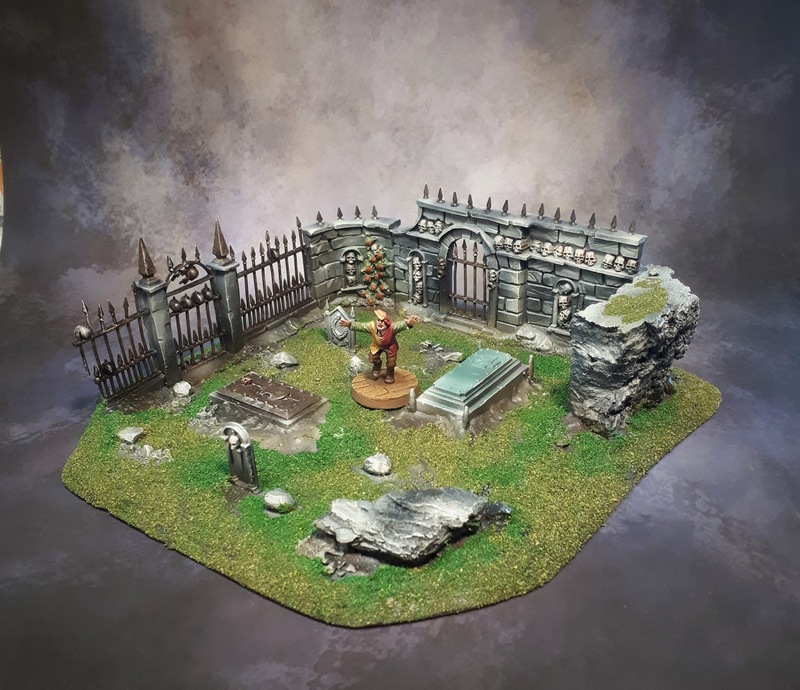 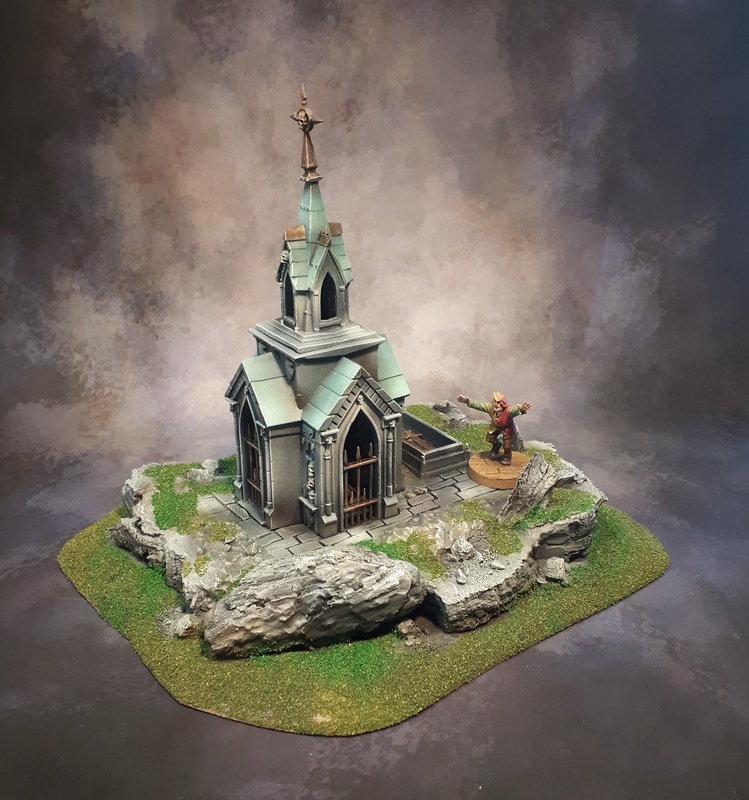 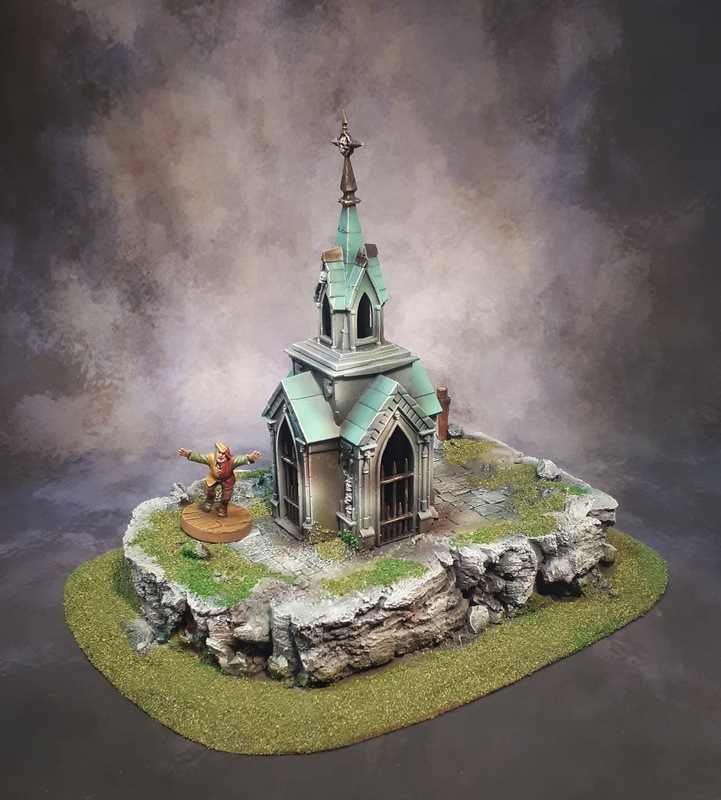 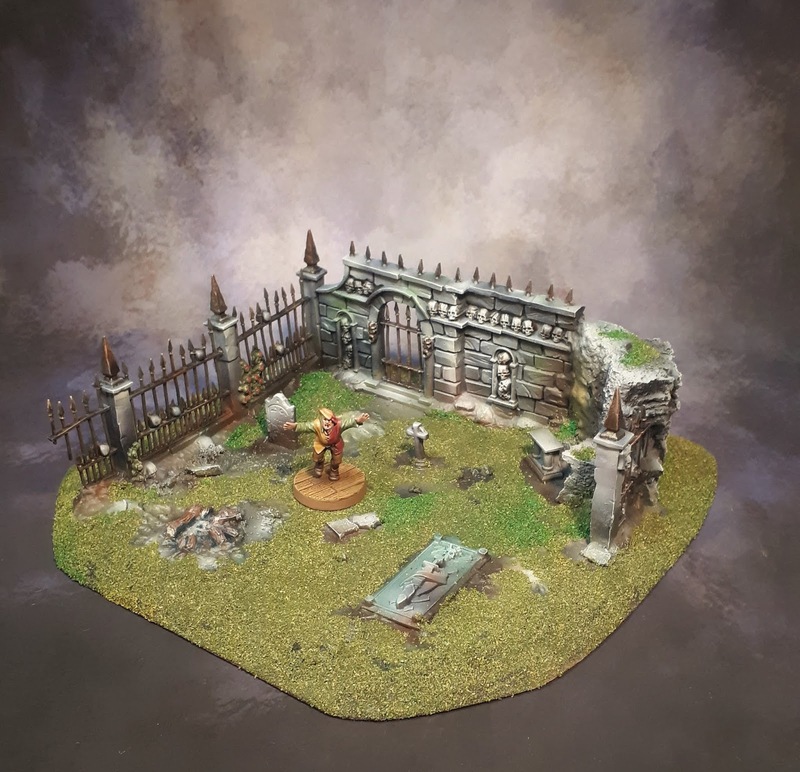 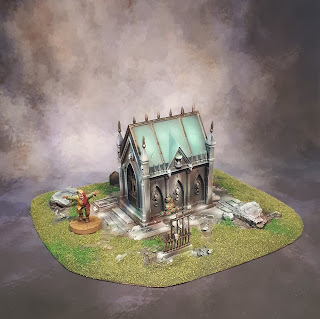 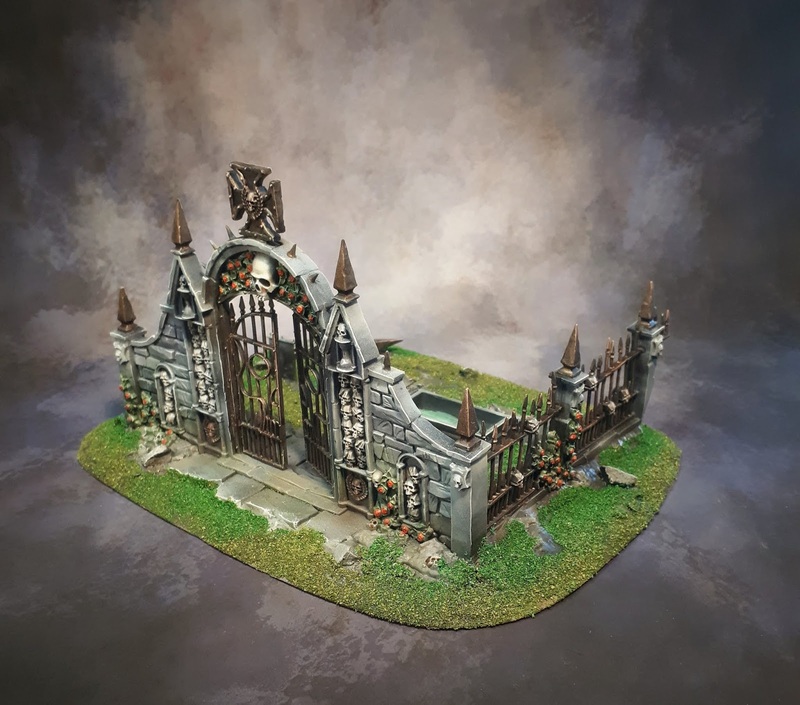 I managed to get some cemeteries and Mausoleums back in stock in between other jobs. 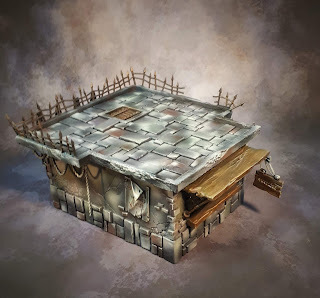 It's all available in the shop. 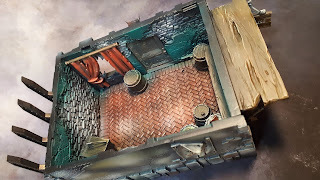 Warhammer 40K debris and obstacles to be used for various games. 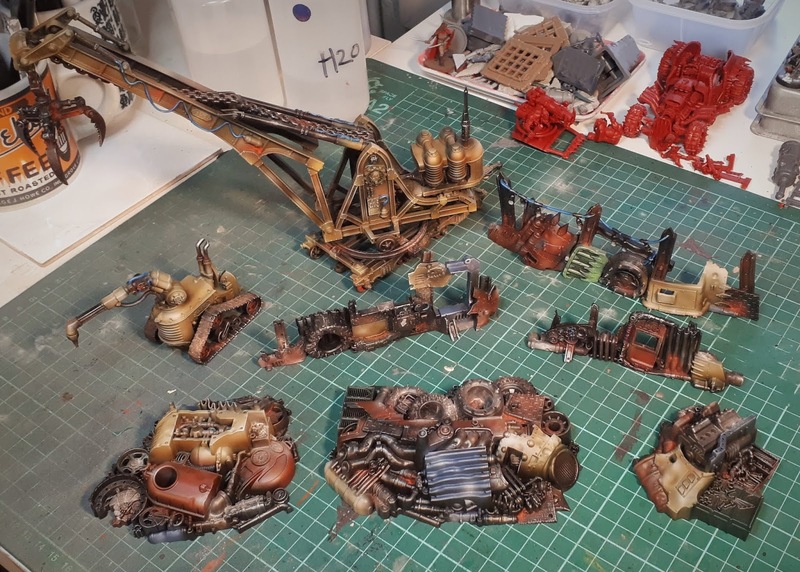 Most of them come from the Speed Freeks box. 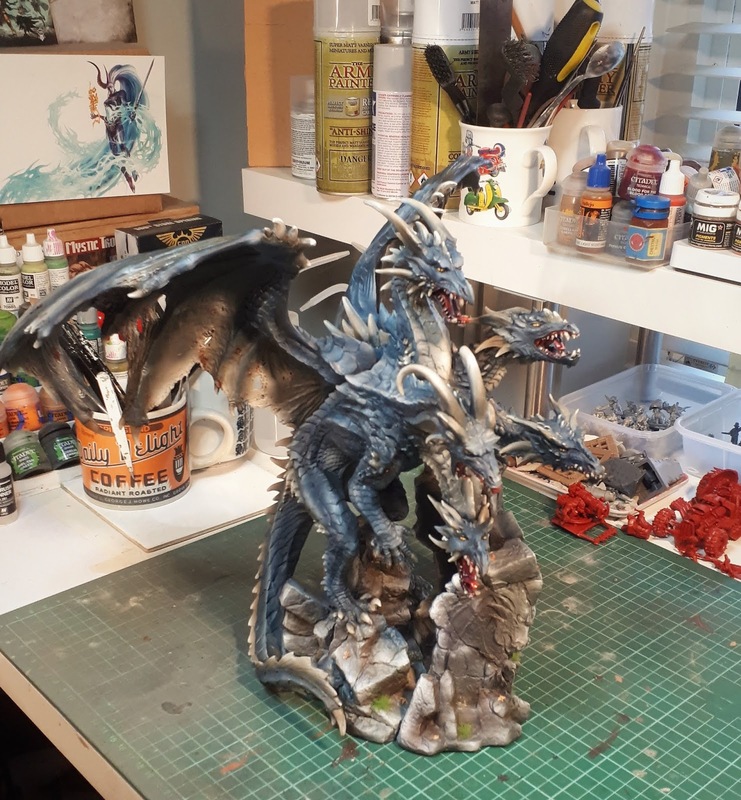 Quick airbrushing, about 3 hours paint job altogether, satisfied with it overall, decent game pieces. 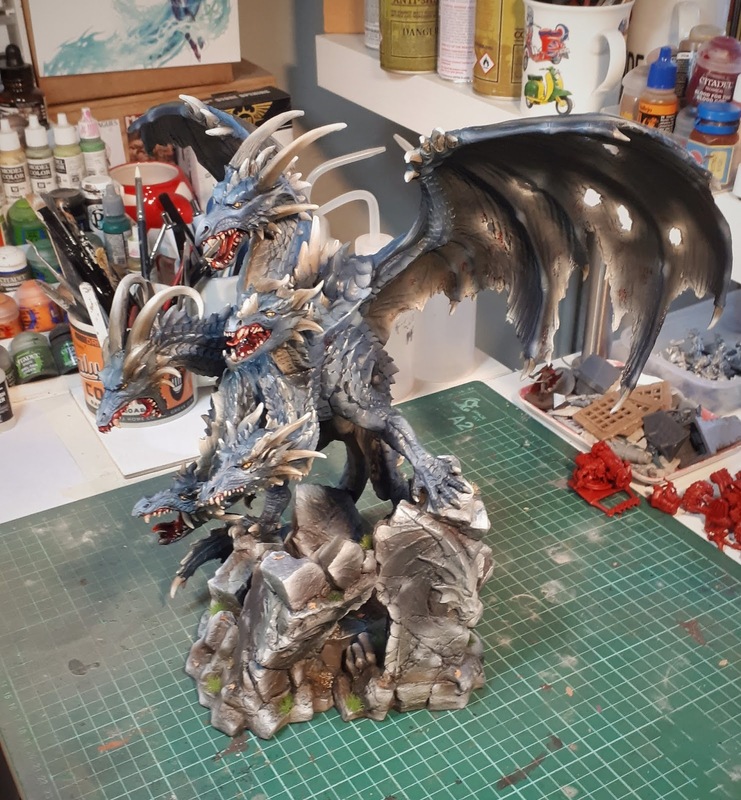 Ma'al Drakar the Dragon Tyrant from Reaper Bones...I had doubts about the model as it's cast in some strange soft plastic and lacking in details and sharpness but it's nice enough. I usually really don't like painting really large figurines but I enjoyed doing this one. Overall very pleased with it. 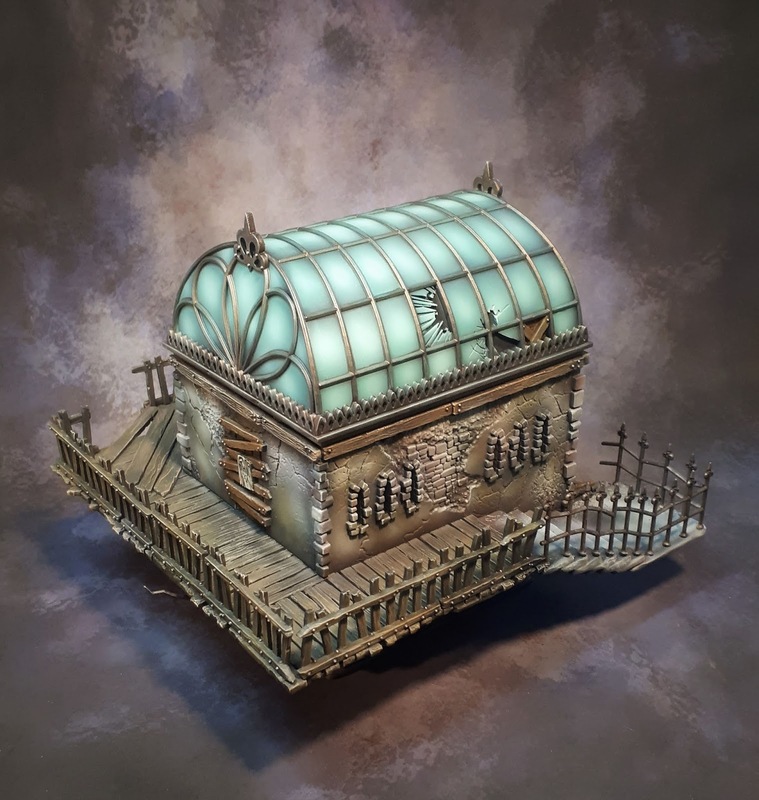 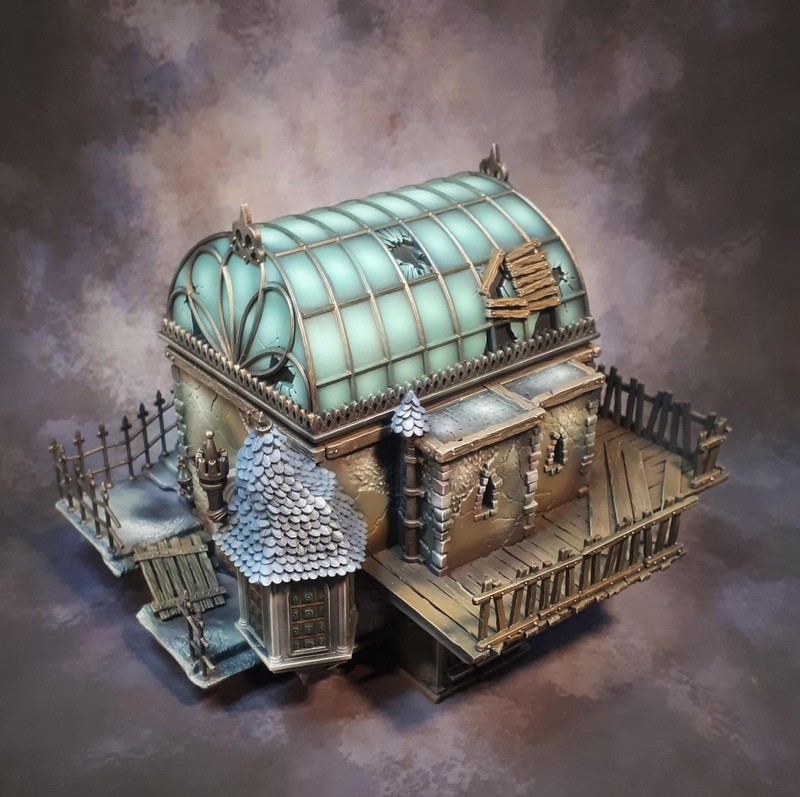 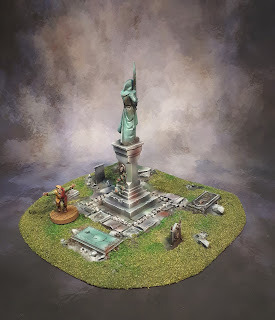 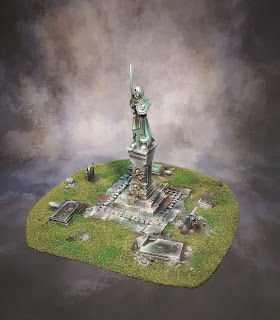 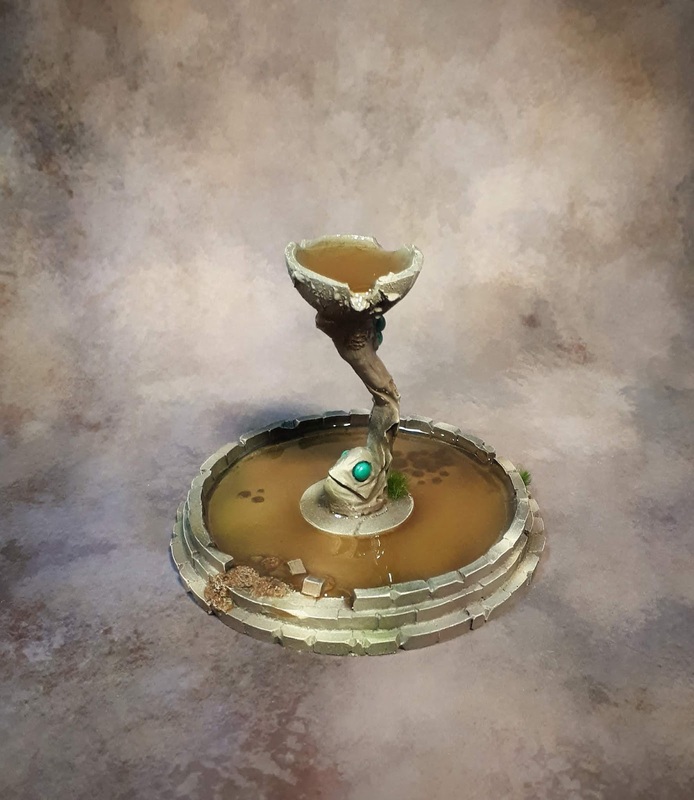 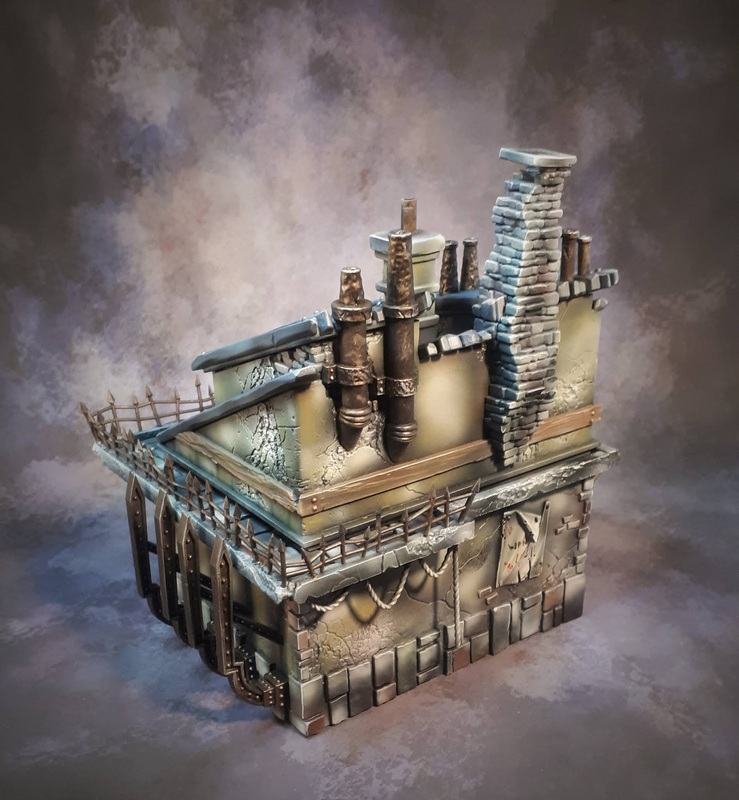 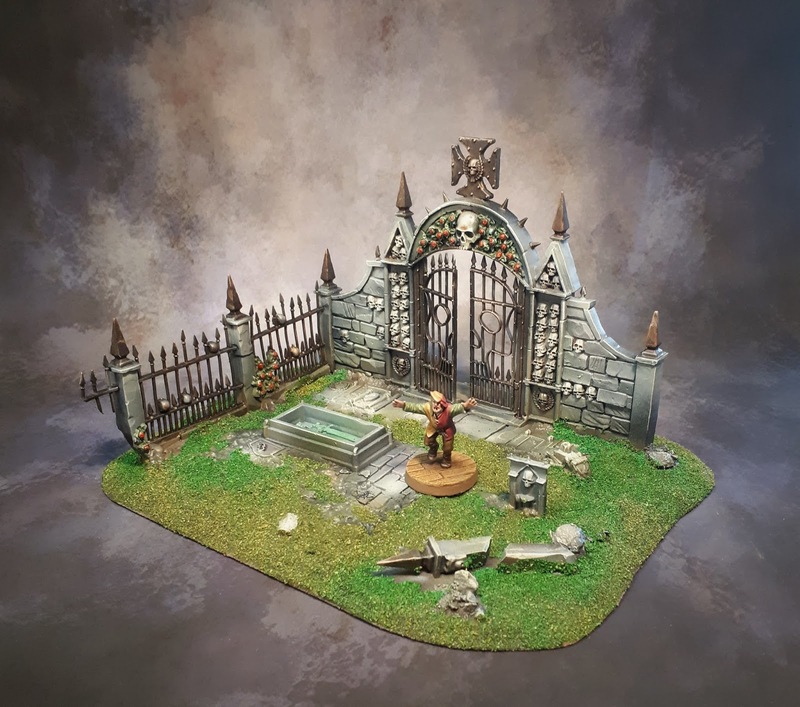 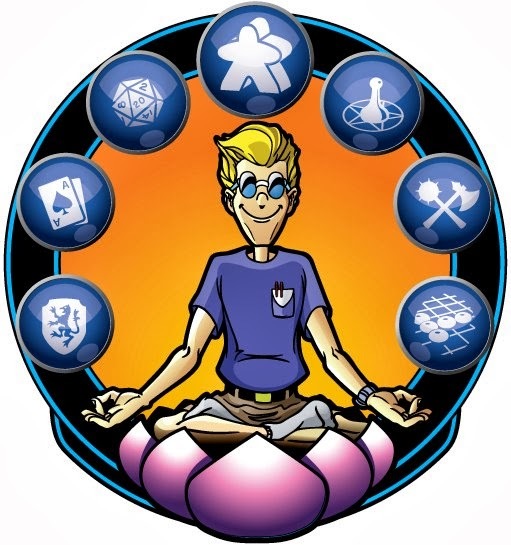 This is part of a new range from Wyrd Miniature and Malifaux game. A steampunk universe but the models are nicely generic enough tio be used in most fantasy settings I'd say. I've been very impressed with the quality, absolutely top notch plastic kit (although without any instructions :( ). The details of the walls are brilliant, insides are great (I closed this one for practical reasons). Lovely scenery available in the shop. 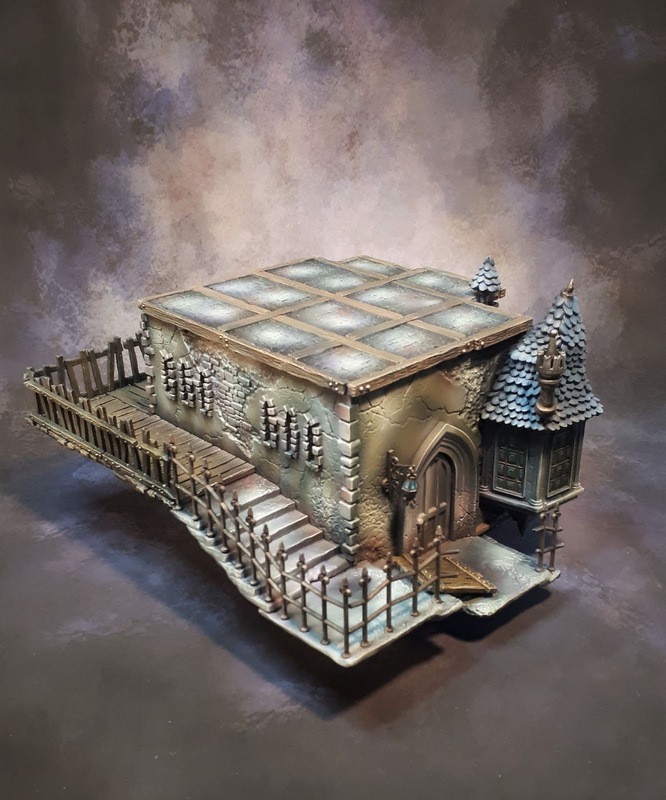 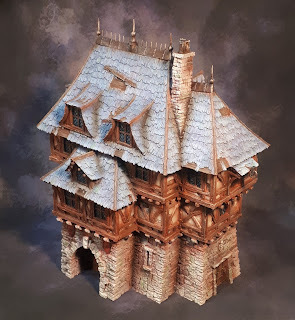 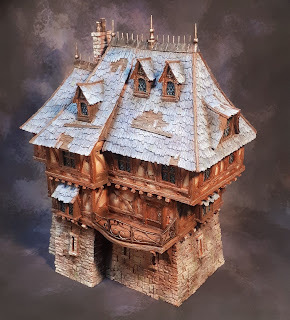 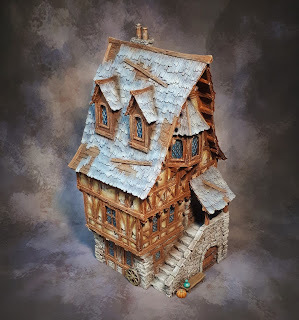 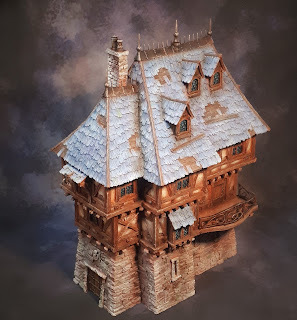 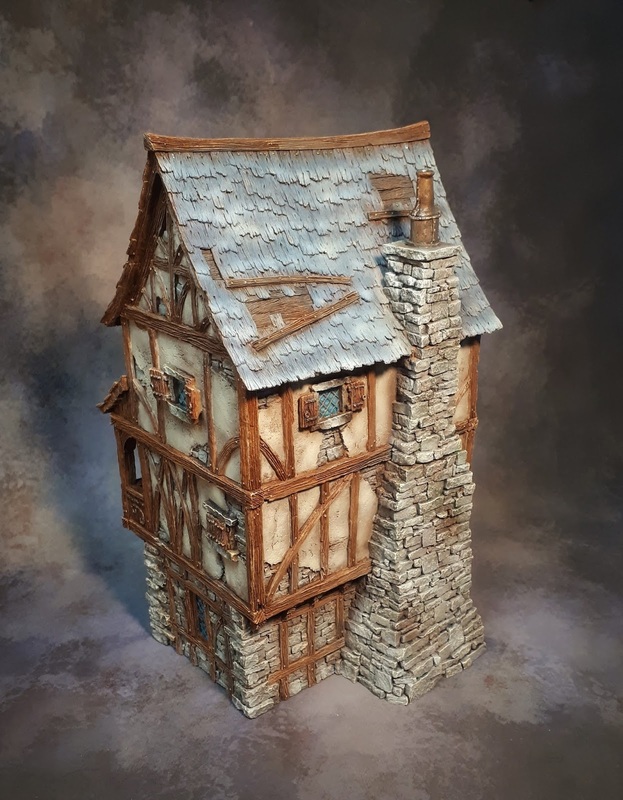 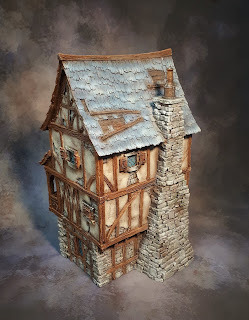 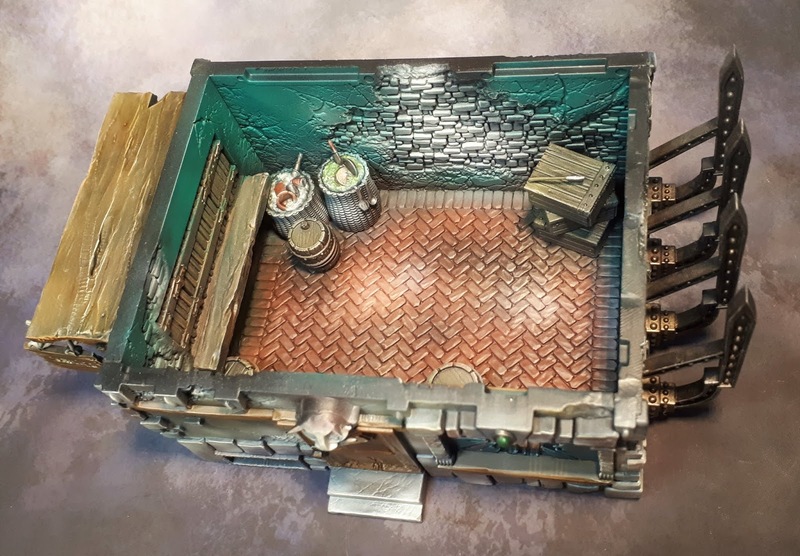 Missed last week update for scenery so I'm compensating today :)Noble Townhouse from Tabletop World, this is the second one I've painted, very large model, flawless details, doesn't get any better than this. Available in the shop.